Anastasios Diolatzis also known as Ison is one of the busiest and most influential people in the electronic music scene in Greece and the Mediterranean. A person of many roles, DJ, Producer, Radio show host, music director of the NON events. 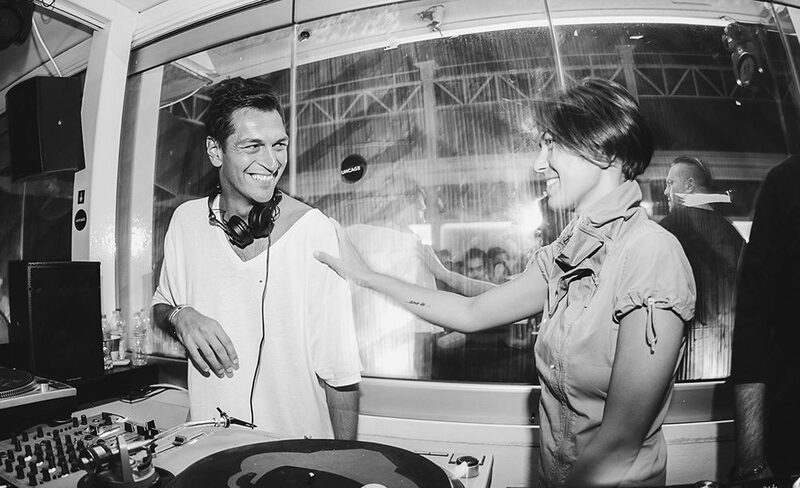 A pioneer and innovator, Ison has helped the Greek electronic music scene to reach new levels and present itself and its local DJ talent to the world by co-founding the country’s biggest festival – Reworks Festival as well as the Non Collective. A man of many talents, Ison is constantly evolving and pushing the boundaries. It’s early Wednesday evening, few minutes to 6PM. Anxiously waiting for an interview call we have scheduled for months in advance. I get a last minute email from Ison: “Hey, I need 20min is this okay?”. 10 minutes pass and he is calling me. 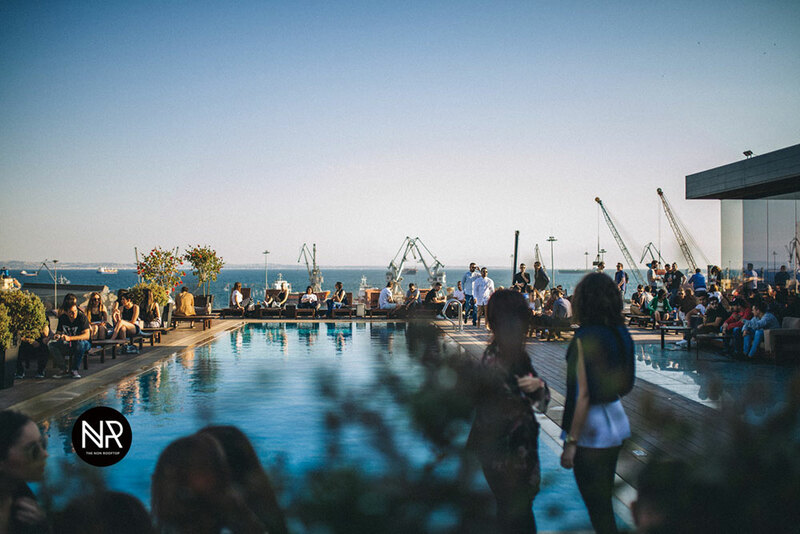 We both remember the last Reworks Festival 2016 (my first), the Mediterranean vibes, warm Greek people, and some of the most electrifying sets of the festival from the likes of Maceo Plex, Mano Le Tough, KiNK, and David August playing the closing event at the Met Hotel. 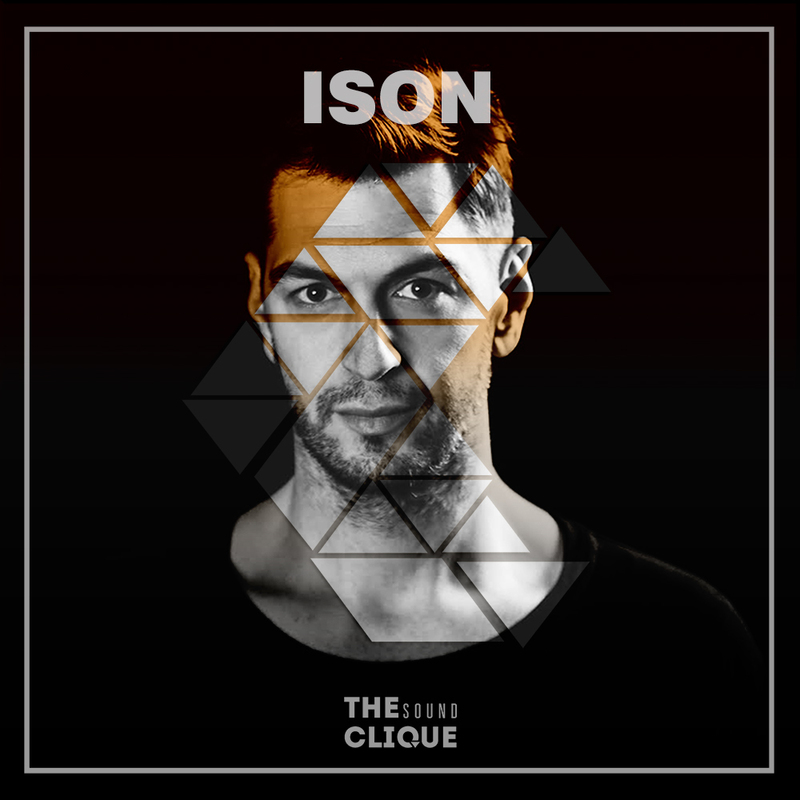 Ison, “The NON Collective” wouldn’t be complete without your name. Can you give us a brief history of how you decided to join your forces together with Anastasios Anthopoulos – Tasos? And why did you form the NON Collective? Now you take me long way back. Tasos was already living here in Thessaloniki. He had already a team working and he was already promoting stuff here. Myself, I was living abroad back in the days and then with one more friend аt the time, we also started throwing parties in Thessaloniki, so we were basically like two different teams organising things. So it was Tasos, and then it was us, but we soon came across each other through our common taste in music. Back in those days in Thessaloniki the sound was more or less all about progressive house, or very commercial house or trance music. And we didn’t like any of these. As we admired each others work and we all joined forces, that is how the whole thing started. At some point the oher member didn’t continue any longer because he had decided to move abroad. But with Tasos, we stayed and created a music family. It was a collective of artists, like And. Id there have been some other artists like Andreas Athineos, ArKi, Darktom, George Adi, and this family is growing since then. What made you stay? Was it the NON Collective that made you come back to Greece, as you lived abroad at that point of your life? I can say that it changed my life totally. I had a career job, a very promising one so when we started the NON Collective it was more like a side project. I wouldn’t call it a hobby because I never treated music as a hobby, it was always a passion but at some point it started to grow and personally I had to make a decision and it wasn’t an easy one – I had decided to focus 100% on NON. Tasos did the same, because he also had a day job that he also quit and we all started working 100% at NON. And it’s still going on and that’s of course, amazing. Yeah, this year we will celebrate its 17 birthday! Which ideas did you have in common back then? What is it, that kept you together, especially you and Tasos? That’s a nice question of you because nobody has asked me that before (he laughs). First of all, there’s respected admiration for each other. To have a partnership, especially lasting that long is not an easy task. Tasos is a family man, but NON is his second family. Actually, it is Tasos calling (he laughs again). All in all, I would say that except for the respected admiration, we also have commitment to the NON Collective. We have something different than the other countries – it was never easy here when it comes to electronic music. When we started, this music was not that well accepted. I still remember when someone was asking “What I do?” and on my answer “Well, I do/play electronic music”, the look of their face was negative most of the time. In the beginning, there was no respect to the genre itself, it hasn’t been taken seriously at all. So, if you add all these things up, it was never easy and we have tried and still do – it’s a constant battle – to actually make this music acceptable. On the same time we also had another mission – to establish the music that we like. Back in those days the music styles that had been popular here were the ones we didn’t like at all. We had to work hard to establish our own sound and it wasn’t easy. I think when you are surrounded by this kind of situation you either break or you actually get stronger and closer to each other. We are lucky I guess that we didn’t break and we are still here. How did you manage to promote the events assuming the fact that it was very different and difficult back then, and also manage to get people involved and come to your parties? The secret was actually innovation. I was responsible for the music part who should we invite next and in which direction we should go for, Tasos was responsible for the promotion of the parties, but in the same time we always consulted each other as well as the whole team. Our key was always innovation. The promotion for example that we carried out back in those days was totally different than now and full of ideas – now it’s all about social media and web promotion. Back then, the Internet was actually in its beginning and it was all about street promotion and we were paying super close attention to our artwork, investing lots of money to it, printing expensive posters and flyers – it was like a whole culture around it. Believe it or not, I still meet people who keep those flyers and I hear them say: “I still have this flyer from that party.” That’s definitely one of the things that helped us because this innovation was going through everything, from our website back then to the music decisions we were taking, inviting new artists, never stick to one specific style – The Collective was open range of electronic music. Ison, was it difficult back then to get international DJs to come play in Thessaloniki when this kind of music wasn’t accepted well? I think we have been fortunate from the very beginning because of the fact that we were inviting artists that have never heard of Greece to come over. I remember that some of our very first bookings were Juan Atkins, James Ruskin, Steve Bug. Maybe Greece was nice exotic destination for the artists even though, I still remember some of them coming over to play for example in December, arriving here and realising that it’ actually cold in Thessaloniki actually was part of the whole process. Things were very different back then even the artists were more relaxed and it wasn’t as it is now. It wasn’t so much business. Can you tell us about how did the whole process of The NON Collective evolve into Reworks Festival and how did that happen since the beginning (since 2000)? Actually we were throwing parties for quite a while but we had a major difficulty. Back in those days the clubs were actually big with capacity over 1000 people and at some point we felt like we don’t have the freedom anymore to invite artists that are perfect for smaller floor. In the same time, we also wanted to present more music styles that you cannot easily present on a regular club night so the only way to do that was actually by creating a platform that actually can support this kind of decisions. Around the middle of the 90s there weren’t many festivals happening and all of them were taking place outside the city, but then in 1999 I went to Sonar Festival. It was the first time in my life I’ve been to a festival that was taking place in the heart of the city and that was a big revelation for me. The idea of organizing a festival was always in the back of my head and when we came to this kind of a crossroad – it was an easy decision, we all discussed about it and we all loved the idea of creating “Reworks”. You see, we never settle down, even if a project is successful we are always looking to create something new. Reworks is constantly evolving, all the time introducing new projects, different styles and in most of the cases I would say that we don’t take the easiest path. Except for the festival, you are constantly organising events with leading electronic music artists. For example, you had Black Coffee playing last month and this weekend on the 10th of March, you have Tale Of Us & Âme (live) playing in Fix Area, Thessaloniki. How often are those events organised and on which criteria are you basing the artists? The NON Aesthetics are going on for 17 years and so far we have hosted more than 600 artists. It taks place once a month even though this year we took a break from October to December to have some rest. We started with Black Coffee and we carry on with Tale of Us and Âme on 10th of March. The NON Aesthetics events don’t take place at one specific venue, we like to use different venues according to the names of the events. They take place mostly in warehouses, complexes that used to be old factories for example Block 33 or Mylos Complex but totally depending on the nature of the event. Then we got another project “The NON Rooftop” and this is something different as it takes place on the rooftop of the Met Hotel. How do you think the audience is responding to that location and do you think that the rooftop itself creates a better feeling and atmosphere? Of course it does. If you have the right spot and the right music you can create the right atmosphere around it. “The NON Rooftop” events have something unique – it is a combination of all those elements I previously mentioned. It is something very different and this is why it keeps going on for 5 years and still people support it. Ison, in your personal opinion do you think there is a different crowd – the one which goes to “The NON Aesthetic” events to “The NON Rooftop” events? There are differences but if you ask me, I like that. It is obvious that the audience won’t be the same. If someone listens to afro-house maybe he’s not going to be up to listen to techno and vice versa. This is always the case – if you are a bit multi-cultural in a way of music styles within the electronic music genres it is obvious that there will be some differences from event to event. But, I personally think of it as a healthy thing because we live in a city where the electronic scene is not that big. If perhaps, we were living in London or Berlin then you can specialise and go for one specific genre. But here the basis of our decisions every time we want to invite an artist, we also want people to discover the artist in a way, and in these cases I think it is a luxury to overspecialise yourself. 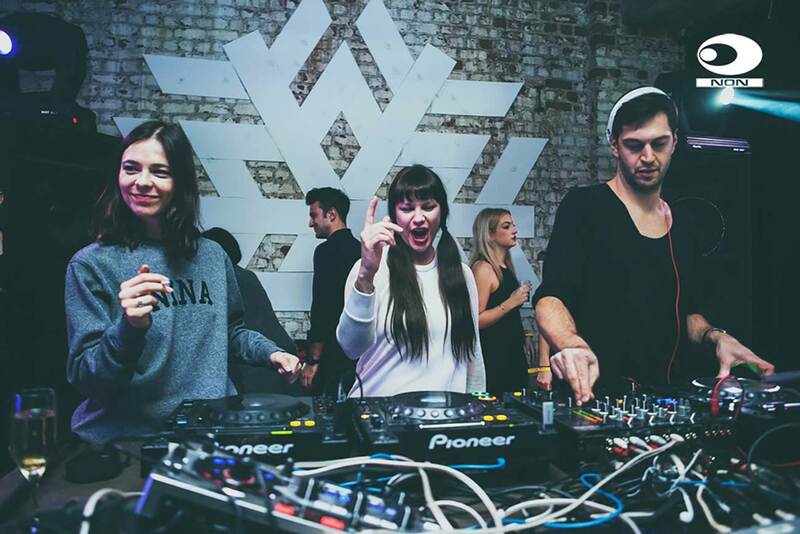 It has also to do with the fact we are Collective and each one of us has different music taste – Andreas likes more house, George is totally into techno and I personally have very open taste to this music since 1992. The fact that we are so many and we all have different taste it is another major reason why we organise different styles from event to event. Going back to Reworks now. Where does the name come from and what was there some original idea behind it? Yes, there was an idea. Back in those days Thessaloniki wasn’t a popular destination for the artists. If you would have listened the word “Thessaloniki”, most of the people didn’t know what Thessaloniki is and in terms of artists even more. With Reworks we wanted to put Thessaloniki more into the international map and we wanted the city to have its own festival. Since our music of choice was electronic music, we wanted the city to have its own electronic music festival. That was the first major reason. The name Reworks is actually based on the fact that electronic music always evolves and innovates itself. If you take the music styles from the 90s there’s always something going on, but in the same time the genres stay close to each other creating something new. A festival also has to innovate and “rework” the genre that all is about. What has changed in the “Reworks” evolution process from its start until today when it comes to organisation, location and line-up? I think that the principles we had remain absolutely the same today. 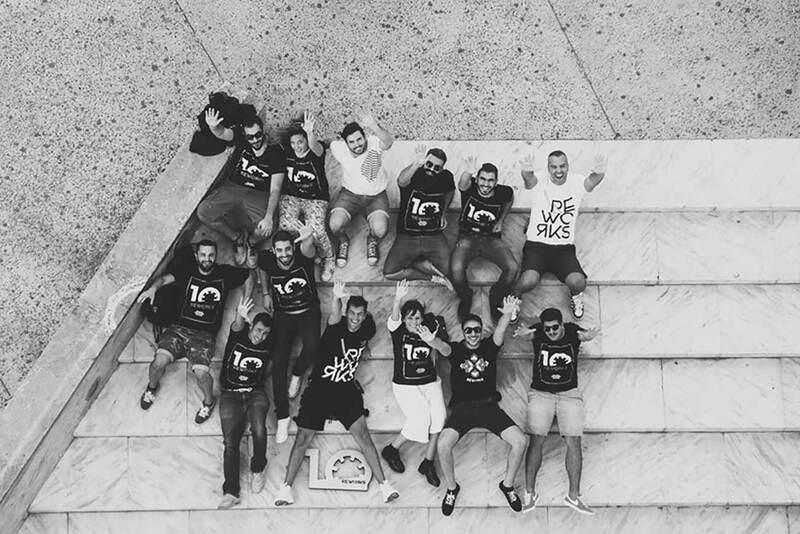 The organization grows, we have more and more people joining the team but the principles again remain the same. When it comes to the venues, the philosophy is that we want people to discover the city and we want to create a small journey within the city – every day we use a different venue. In this way the audience would not only listen to something different but also will discover the different, areas of the city especially the visitors who come outside Thessaloniki orGreece. Personally, this is what I love mostly when I travel and visit a festival outside my city, it’s a perfect chance to discover the city while listening to music. This also gives us the freedom to work on more projects because each different venue has different attributes. About the line-up again the principle is the same. We want to present the freshest, “the artists of now” from one side. But then in the same time we also want to present breakthrough artists. Additionally, we want to present what the Greek scene is about too. There are not so many opportunities for the Greek artists to play on festivals because we don’t have that many festivals – for us is vital to have a line-up which consist of at least 50:50 international and domestic programing. According to what criteria are the artists divided into different stages (eg. Nina Kraviz a few years back played on a different stage than Ben Klock and they played at the same time)? We work on different projects year by year and we want the artists to experience different floors and rooms of the festival and the same goes with the audience as well. One of the characteristics of Reworks is that we don’t have big rooms and our floors are small comparing to the size of the artists we bring. Those artists normally play in front of 5000-15000 people in other festivals but when they come to play at Reworks they have to play on smaller floors. This is another key element for us that makes Reworks special we believe – it’s friendly and warm atmosphere exist between the audience and the artists. Do you think there are any “secret ingredients” when choosing the perfect line-up? Bearing in mind that not every worldwide festival involves a rooftop location do you think that “The Met Hotel” has played a vital role in making the festival successful? Well, to me is that I wouldn’t actually pick up a specific floor or venue, I think what makes Reworks attractive, if there is actually something that makes Reworks attractive, is the fact that it’s like a mosaic of floors, so each different person have different favorite floor. The same actually goes with the line-up as well. It gives me great joy when I speak with the audience, and asking what are you looking forward to see, I will many different answers, and for me this is something very important. It’s not an easy thing. All we do while we actually build the line-up is writing – erasing, writing – erasing, in order to have the final recipe, but we have been also very fortunate, and I want to highlight this, because also the artists have been very supportive to us. Reworks wouldn’t be able to stand if the artists couldn’t be that supportive and this is something very important for us. Ison, has this kind of success ever occurred to you, and how does it make you feel now after tradition of almost 13 years? Well I don’t want to use the word success, because to be honest I don’t personally feel successful – we love this music, we dedicate our lives to it – this is our driving fore not success. My life is different because of it, Tassos’s life is different because of it, everybody who is in the team, his life or her life is different because of it. Music gave us so many great moments. It is a journey where we meet different people, different artists, we explore the different through our common passion for music. Maybe it sounds too romantic or too naive, but this is how I feel and I think that all of us feel too. It’s not like “We do Reworks” or “We do NON Aesthetics” it is totally the other way around. We have the same stress and enthusiasm as on day one, believe it or not. How did the ” We Are Europe” project come about, and what can we expect between you and the “We Are Europe” project in the future? We are Europe is like a dream come true to be honest with you, first because its objective is wonderful. Europe especially in the last four years is taking a path that actually is more and more dark, and now we are in a situation that everybody is getting concerned of where Europe is heading. “We are Europe” is a project that actually tries to shift things and show a different perspective on what Europe is all about. We are 8 festivals collaborating, working together on projects, communicating and trying to bring each other closer. The project is co-funded by the European Union and it’s length is at least 3 years. It gives me the biggest satisfaction and it’s like a dream come true because of Sonar Festival, which was the source of inspiration for the creation of Reworks, and today we are actually together on this project. We started in 2016 by hosting a stage at Sonar Festival and curated part of the line-up of Insomnia in Norway. This year we will travel to Lyon and Nuits Sonores festival, and we will curate part of the line-up of TodaysArt in the Netherlands. Back home at Reworks Festival we will host Nits Sonores and Insomnia from Norway. Knowing that you innovate year after year, you probably want to do or try something new. Would you mind revealing any secrets to the audience for the next Reworks edition? To be honest with you – we have already been working on the line-up since November so we do have and I am very happy with the line-up that we have so far. We are working on a special project and if it happens it will be great for the audience to discover it! A hot debate amongt the visitors in recent years is that Reworks has grown tremendously in festival attendees, which creates the concern that the festival is now too big for the venues it is being held at and it needs to move to a more spacious location. Can you agree that you have outgrown both Block 33 and Mylos Complex? This is something we experience every year, the venues are not that big in a way, but it is because the city lacks big venues, and some of the current ones are not so nice in terms of aesthetic and what we are looking for. We have this constant internal discussion if we have to make this move, but we don’t want to lose our soul and our character, but there will be some changes. Can the fans expect any changes and new releases from The Non Aesthetics? And do you have any releases planned for this year, Ison? Yes I have been working on something, but the way that I am working on music, alone or with my studio partner, is that we do it in a very vey relaxed way. It takes a while until we have something done. We always have at least one release a year, so I hope 2017 is not going to be an exception. And when it comes to Non Aesthetics, AND.ID just released his latest EP on Culprit (listen here), George Adi is constantly releasing on his own label SHIFT Digital Audio, Christos Mavridis aka Eddoh new releases are going pretty well, and Andreas Athineos will also probably release something this year. So pretty much everybody is very active in terms of music! Can you give any updates on your Actor One project with Christos Mavridis ? Actor One is a side project between me and Christos. For the moment we don’t have anything planned, because as I told you, I am working on my material and Christos is working on his own material. But I am pretty sure at some point we will resurrect the Actor One project and release something under that alias. Can we expect any upcoming gigs this year from you as the Actor One? 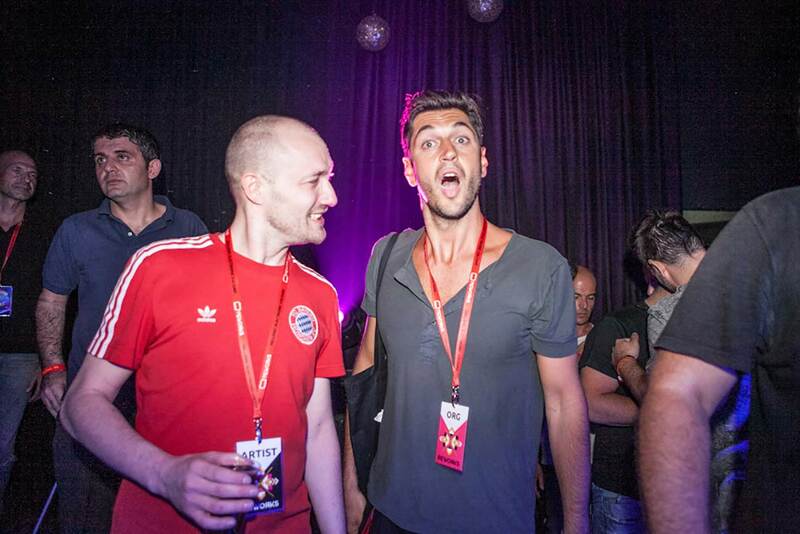 Thing is Christos lives in Frankfurt and plays DJ gigs mainly there, whereas I play mainly here in Greece. So for now we don’t have anything planned, but you never know. Let’s go all the way back to when it all began for you. Your involvement with electronic music started since a very early age and you were part of a pirate radio show for electronic music. So what was it about this music that is so special to you, that you decided to devote yourself and your life to it? I was around music since a very early age, because music was always in our house. My parents were always listening to music, they were not musicians, but they loved music, so I discovered it through them. I was also very lucky, because my uncle was a record collector and he was brave enough to let me play with his records at a very young age, I think I was around 12 at that time. Then at the age of 14, back in 1992 I discovered electronic music. I bought my first records and I attended my first parties, after which everything just opened up to me. Back in those days there were no music styles. We were a community and we all knew each other after going to the same parties. Then at the age of 15 I moved to a smaller city where the parties were not that many, but I found new friends, who were also into this kind of music. There was a pirate radio station operating and the owner let us curate a radio show in the late hours of the day. During the radio show we were playing everything from Ambient to Techno. Ever since, radio is part of my life! Then after the age of 18 there was a silent moment for me in terms of music, when I moved to study and pursue a career in London. I was still buying music, going out to clubs, but I wasn’t playing. That lasted for around 6 years, before I came to Thessaloniki to visit Solar. I asked him: “Let’s go out, where should we go?” There was David Morales playing and a psychedelic trance party somewhere else, but we weren’t into any of that of course. Link to the latest Non Aesthetics event with Tale Of Us & Âme (live) at Fix Area, Thessaloniki here. Connect with Ison on Facebook and MixCloud. Connect with Reworks Festival on their Official Website and Facebook. Connect with Non Aesthetics on their Official Website and Facebook.